Get your Fujitsu Siemens laptop repaired with a professional touch at an affordable rate from Creative IT. Creative IT is a well established IT solution provider based in Central London. We cater for the requirements of corporate firms and individual users with equal preference. 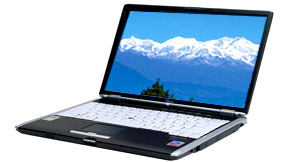 Our technicians are experienced and qualified to undertake Fujitsu Siemens laptop repair of any model in London, UK. They are up-to-date with various IT platforms you are working with. In addition to pool of skilled technicians Creative IT also provides latest technology in Fujitsu Siemens laptop repair for quick and efficient performance outcome. If you are in need of emergency Fujitsu Siemens laptop repair please call or drop at our workstation in Central London for immediate response. We offer onsite and offsite Fujitsu Siemens laptop service around various cities in London, UK. Our technicians will reach your site for onsite repair on call and evaluate the laptop from every detail to give a best quote in the market. Then we will go ahead with our work only after getting your consent for Fujitsu Siemens laptop repair. You can now sit back and relax to see laptop repair right in front of your eyes. Our technicians try to get your Fujitsu Siemens laptop repaired on same day itself if errors are not much worse. Otherwise the system is carried to our well equipped lab for detailed repair and we make arrangements to return it as brand new again within our deadline of 48 hours. We never go for Fujitsu Siemens parts replacement unless they are irreparable. You can select from our wide inventories of used and new laptop parts and accessories at reasonable costs. Other than Fujitsu Siemens laptop repair Creative IT also focuses its service in networking, router configuration, software installation, Fujitsu Siemens data recovery, Fujitsu Siemens virus removal, and upgrades. We always try to have a good rapport with our customers and do our best for their satisfaction. Coming to price tag for various services we quote relatively less charges to suit your budget. Come to Creative IT and be a satisfied customer. To know more about Fujitsu Siemens laptop repair in London, UK please make a call at 020 7237 6805 or send us an email at info@creativeit.tv.